Hornady 115 gr. 9mm. XTP and HAP question ? Can someone put a micrometer on the HAP bullets and tell me if they are .355" or .356" ? My XTP's are .355" and want to round some more up or get the HAP's if they are .355". Those whom have accuracy tested the XTP vs. the HAP, are they equal, or is one better than the other ? Reason I am asking is that I finally loaded and test fired my old load of 115gr FMJ Sierra Tournament Masters over 4.8gr of VV-N340 against some 115gr XTP's with the same load. Shot a 20rd timed fire at 25yds of each. Could not shoot at 50yds, but the higher X count at 25yds tells me that something good is going on. Hoping to get ready for the service pistol matches in Camp Perry this year if all goes as planned. Re: Hornady 115 gr. 9mm. XTP and HAP question ? They are .355, they are the same as the XTP except for the serrated tip. I have not found any difference in accuracy with the XTP's or the HAP bullets. Both of those perform better then my Sierra TM FMJ's. I have a lot of both. I used to save the Sierra for EIC matches but now with the rule change (and selling the 92) I just use them for the short line. I won't be buying anymore when they are gone. I will also not be buying anymore XTP's since the HAP perform the same and are cheaper. 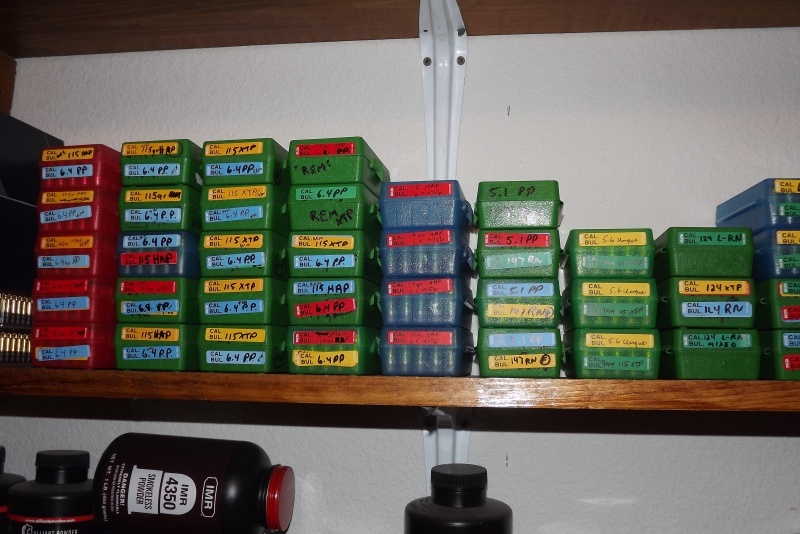 I test the loads and compete with a 952-2. Well, not a lot compared to someone that can load 1000 an hour. But a lot for someone loading 1 at a time every 4 pulls. 800 XTP's on the way from a clearance sale.